You may have heard many times that our foods are not as mineralized and full of vitamins as they once were. But did you know that can have an effect on your health, and has been? Have you ever heard of people craving non-edible objects such as coal, nails, brick, clay pots, or wood? When I was working at a health foods store as their herbalist, I had a client come in and ask me what he could eat that tasted like dirt or brick, but would not hurt him. Right away I knew he had a major mineral deficiency, so much so that his body was craving items rich in minerals, regardless if they were edible. I have also seen this in a large number of pregnant women, as the demands of minerals are high during pregnancy. Minerals are extremely important, just as important as vitamins. They need each other to be absorbed and used by the body. They are part of every action, cell, and reaction in the body, including bones, tissues, nerves, cells, receptor sites, metabolism, and the list does go on. Minerals help keep an acid-alkaline balance. Being too acidic (which most of us lean more towards) can have an effect on the sperm reaching the egg. Sperm needs an alkaline environment to survive and receive “action” messages (know what to do, when). Building up stores of nutrients before pregnancy leads to a healthier baby, pregnancy, and birth. 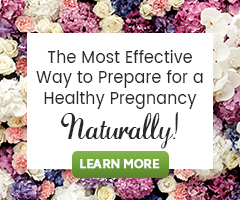 Once you are pregnant there will be a huge demand for minerals and vitamins in your body. Start now and build up those stores while protecting your immune system, cells and organs. There are many different ways in which minerals and trace elements can be obtained. Traditional fish and seaweed-eating cultures such as the Japanese, would get their supplies from their diet. Mountain dwellers obtain their minerals from water and food. Organic gardeners obtain theirs through using good organic manure such as seaweed manure, leaf mold, ground volcanic rock, etc. Mineral baths and spas, with highly mineralized water, were once widely used as mineral sources in Europe. How many cures at Lourdes may have stemmed not just from faith alone, but by the mineralized water drunk by pilgrims there, containing micro-nutrients their bodies may have been starved of for decades? Many people today rely on supplements, in pills, powders or liquids. Sources include ready-made drinks, as in organic vegetable and fruit juice. Seaweeds and blue/green algae, such as chlorella and spirulina, contain minerals as well. But the best whole food way to get your minerals is to consume large amounts of sea vegetables. If that does not sound realistic (it isn’t for me, at least not every day!) then you can take a supplement to get your minerals. What mineral supplement is the best? When taking minerals, it is recommended to take a colloidal or liquid form. With liquid supplements, vitamins and minerals are already dissolved and thus immediately bioavailable. Capsules and tablets may not get digested and used by the body; the molecules are too big. My favorite whole food mineral supplement is called Body Balance. It has 9 different seaweeds and aloe vera. I have been taking this for about four years now, daily. 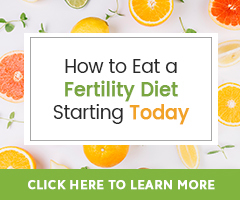 I have heard from a lot of women who have been taking this supplement before pregnancy, during, and after, with great results. It tastes good and is quickly absorbed. When starting to use Body Balance, it is best to saturate your body with the minerals to get back to health as soon as possible. Body Balance is a whole food so you can’t take too much, but for the first month, it is recommended to take 4oz. a day (I still take this amount) and then the second month forward, take 2oz. every day. You can use this as a liquid in your fertility smoothie or just take it straight. Men should be taking in minerals also. Zinc is a mineral that is one of the most important for sperm health, mobility, and life force.